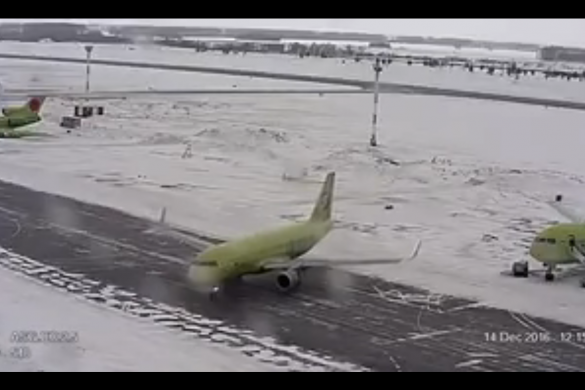 A video of a security camera has captured a S7 Airlines Airbus A320 having difficulties on a very icy taxiway. The pirouette was caught on camera back in December last year but only recently gone viral on social media. The S7 Airlines aircraft nearly hit its company Airbus A320 on the right-hand side. Luckily nobody got injured. How the flight from Bejing to Novosibirsk, Tolmachevo reached its final parking position or gate is unknown.